17.3 million of the children in the U.S. live in poverty, trapped by circumstances beyond their control. Almost 1 million of them live in Kentucky, where 26% of our children under the age of 18 live in poverty. That means that for 1 out of 4 children, Christmas doesn’t always come with the promise of gifts—or even a Christmas meal. Every day is more about survival than celebration. But we can help change that. One very practical way that Kentucky Baptists can reach compassionately the needy children in our state is through the Christmas Backpack Project. Last year, there were over 50,000 backpacks distributed in 13 states by missionaries and church planters, and 15,000 of those went to children in KY. Each backpack is a tangible expression of God’s love – and is filled with gifts of clothing, toys and food items. But the greatest gift in each backpack is a copy of the true Christmas story. It may hard to believe, but many children have never heard the Biblical account of the true Christmas story. Last year, there were over 1,500 decisions for Christ as a result of the gospel message that is shared with each backpack. An exciting thing about those decisions is that many of them were made by parents and grandparents of the children receiving the backpacks. The backpacks don’t just provide hope to a needy child, they impact the whole family. When the backpacks are received by children living in difficult circumstances, not only are the children and their families affected, so are those who prepare and pack the backpacks. Many churches report that their whole congregation was involved in this ministry, young and old, including those who can’t travel on a mission trip. Some churches reported that working together on the backpacks helped them to focus outwardly on the needs of others rather than upon internal church issues. Evangelist Dwight L. Moody said, “If I could relive my life, I would devote my entire ministry to reaching children for God!” How devoted are you to reaching children for God? 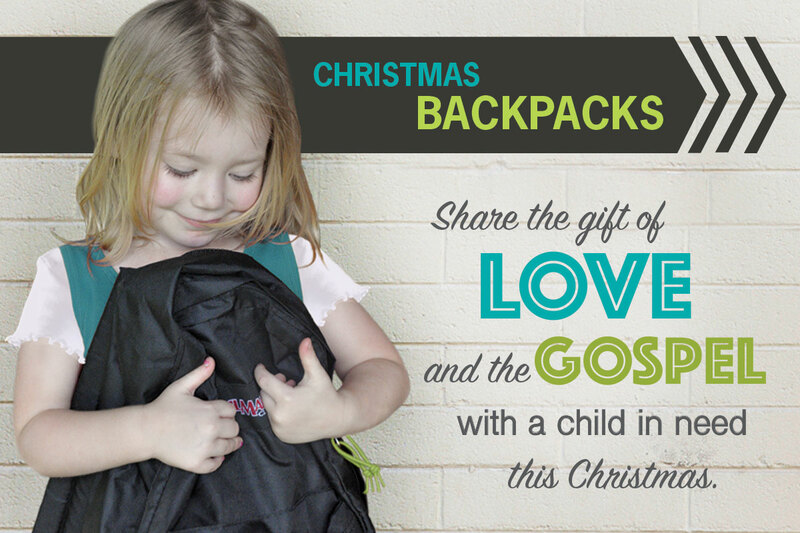 Let me challenge you and your church to commit to preparing and packing backpacks for children to receive this Christmas. It all starts with you – but ends in someone coming to know Jesus Christ and the true Christmas story.